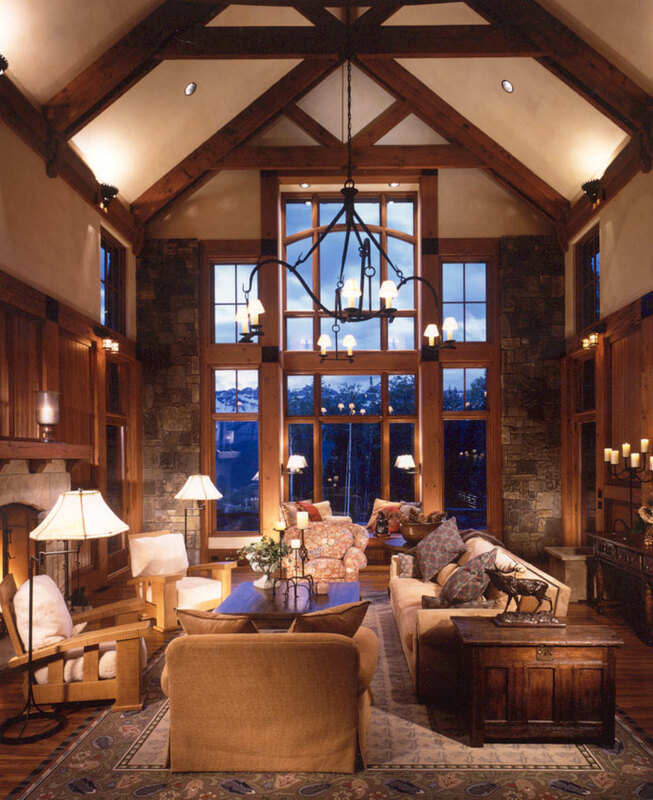 This 5,600 s.f. 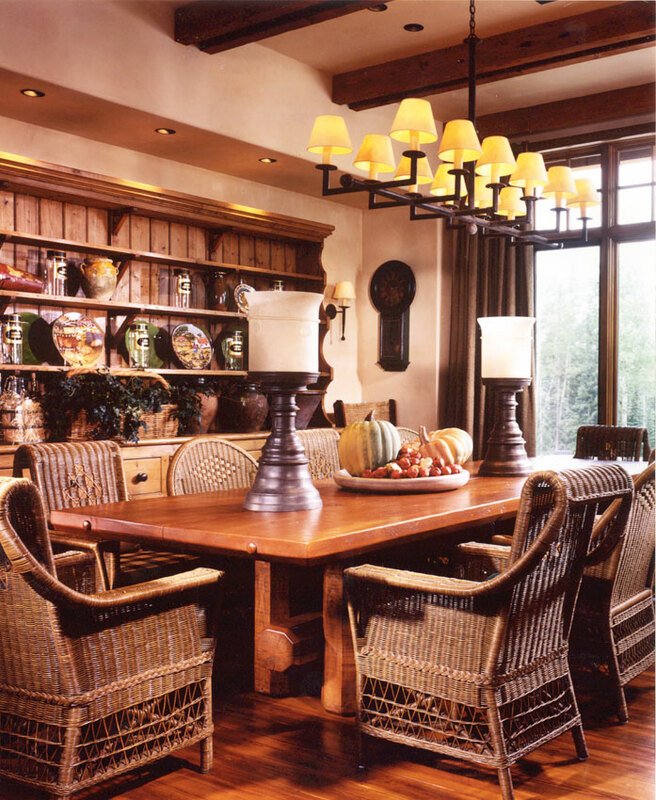 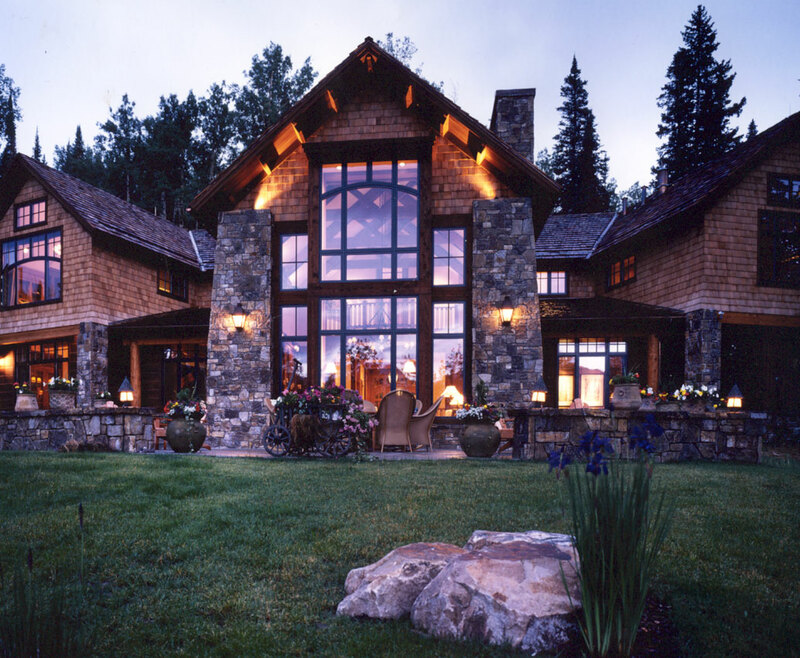 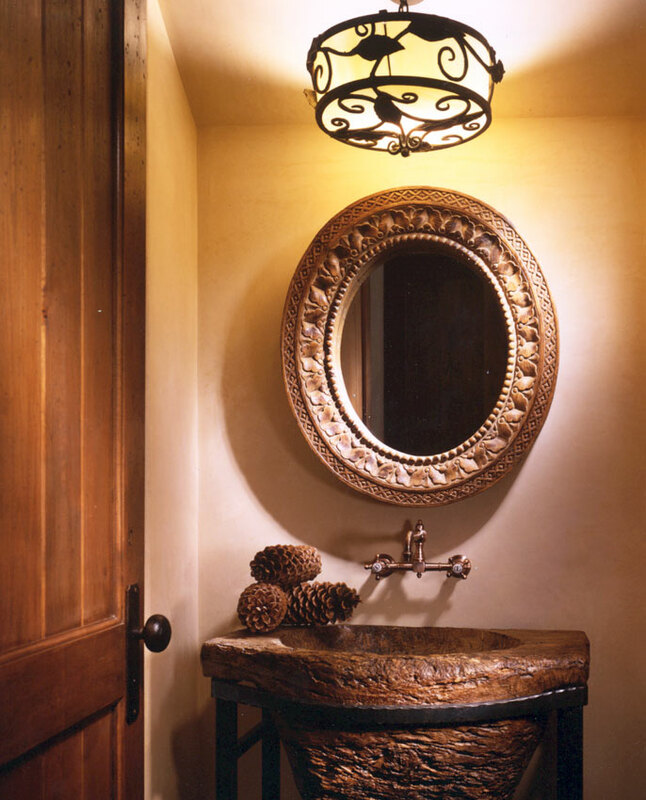 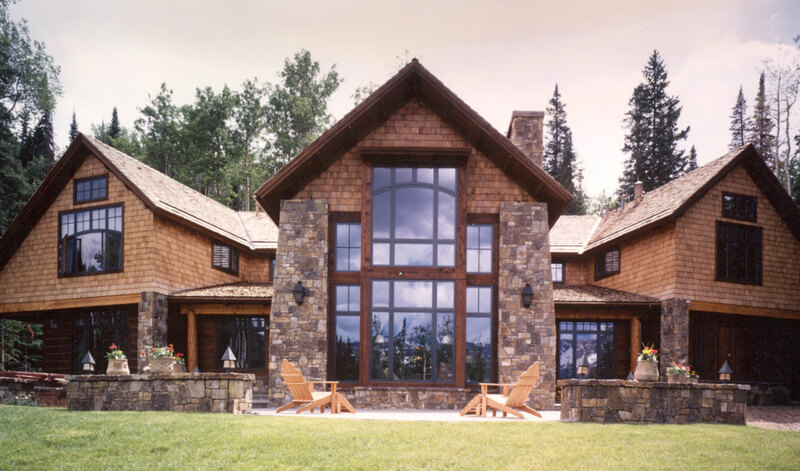 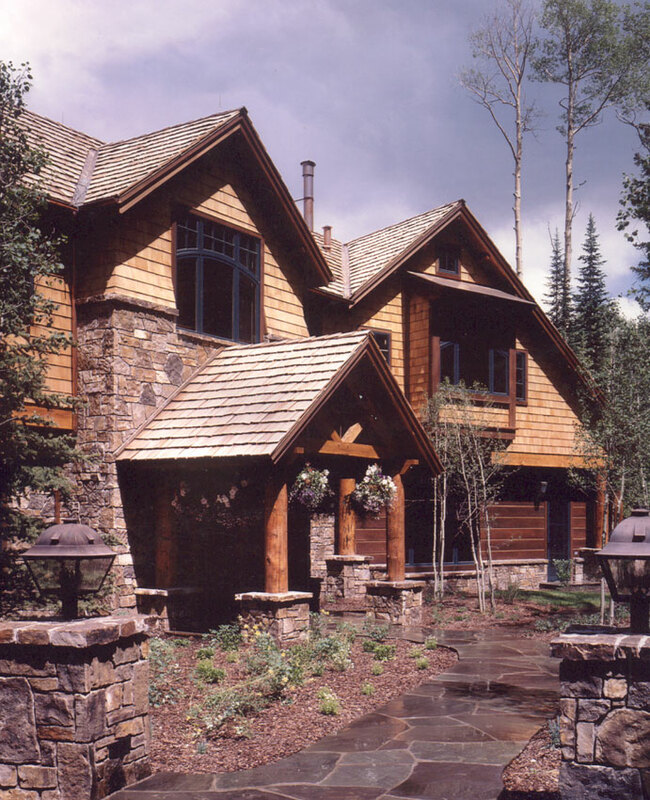 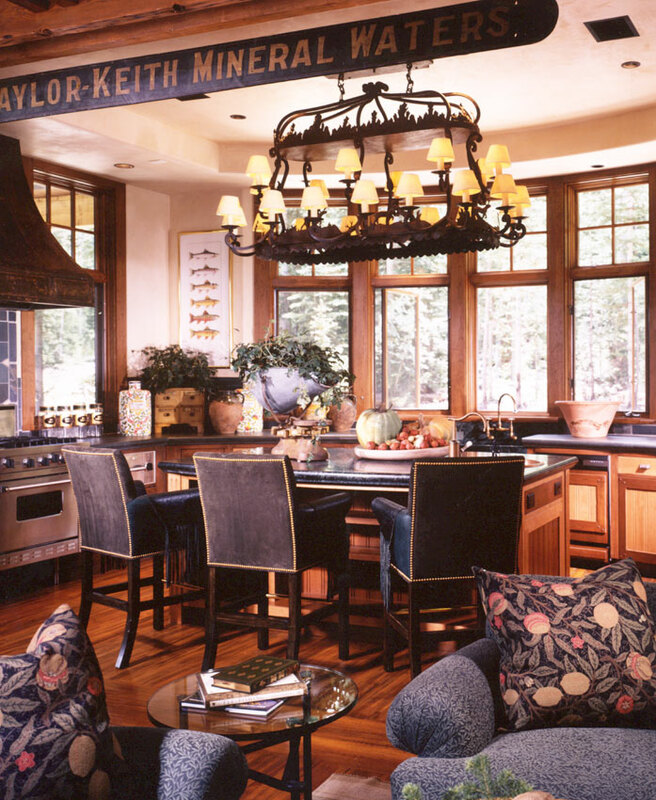 mountain home is a Colorado interpretation of Adirondack and Arts and Crafts styles tucked into a thick grove of tall spruce which overlooks a nearby ski slope and San Sophia Mountain Range in Telluride. 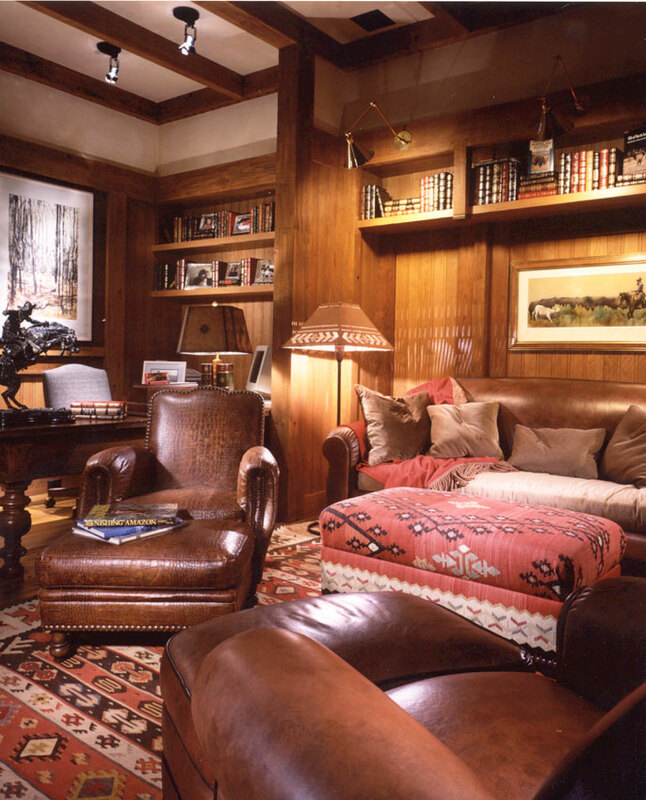 The interiors are detailed with cherry paneling, stone and old pine floors, integral colored plaster and recycled timber beams.